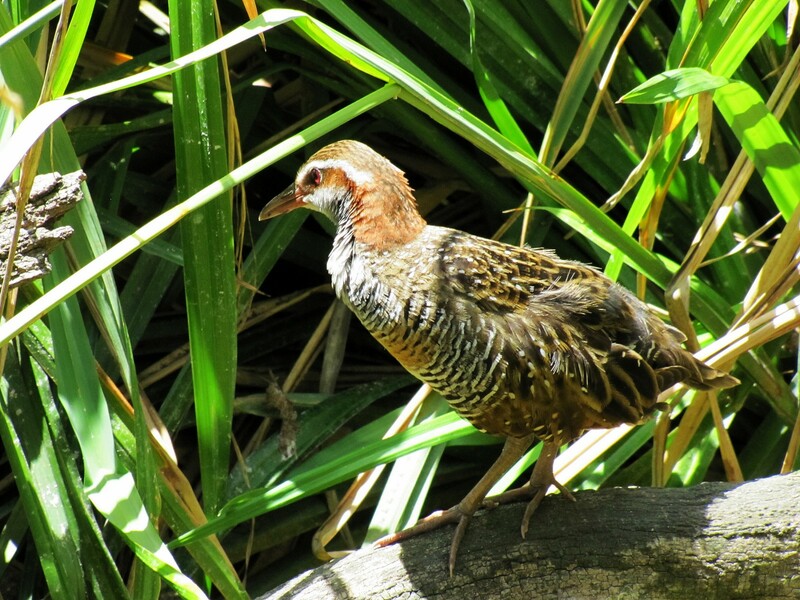 Buff-banded Rails are sometimes very shy, secretive birds that rarely show themselves, preferring to skulk in the reeds and rushes along watercourses, swamps and wetlands. On the other hand I have sometimes encountered these rails quite openly enjoying the presence of people. One example was a close encounter I had with one bird in the Royal Botanic Gardens in Sydney. 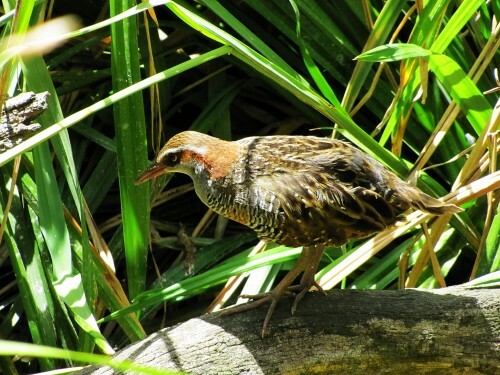 Buff-banded rails are a widespread species throughout Australia – except for the drier inland areas.